WAR has come to Magic! 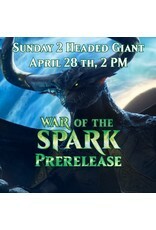 Join us for a weekend of slinging spells and friendly gaming, at the Heretic Games War of the Spark Prerelease! War has come to Ravnica as the heroes of the Magic multiverse do battle with the nefarious Nicol Bolas. 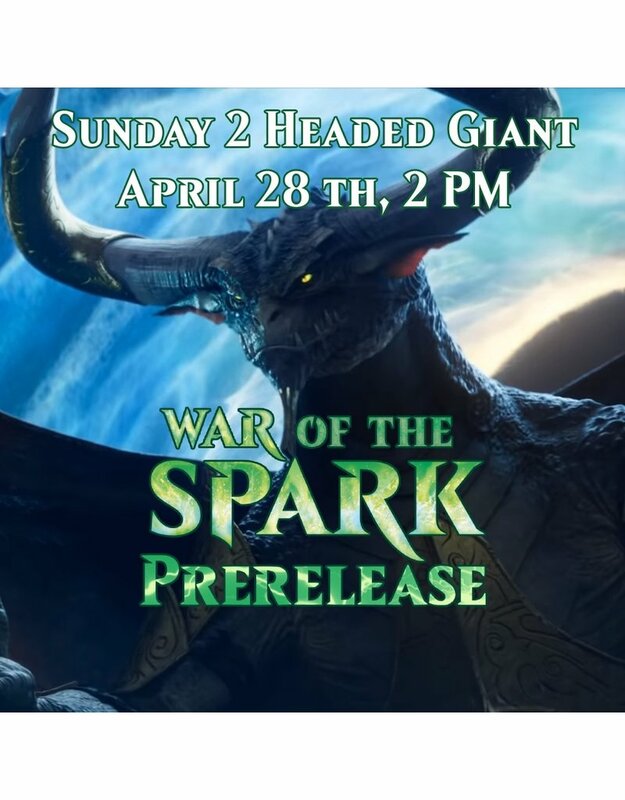 This event is a 2 Headed Giant sealed tournament, meaning a pair of players work together to create 40 card decks with which to compete against other teams in a special 2v2 format. Purchasing this event fee pre-registers you for the 2HG event on Sunday, April 28th at 2 PM. 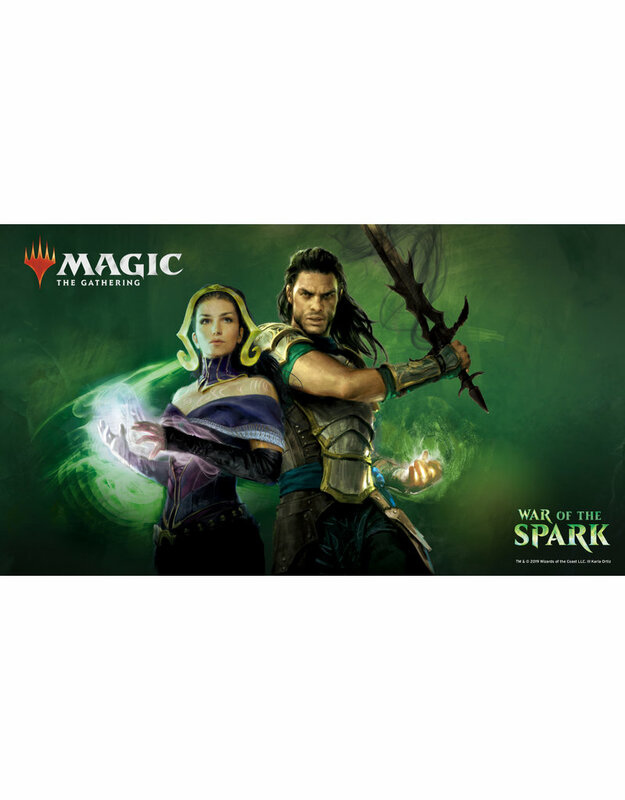 All participants will receive 1 prerelease pack, which contains 6 War of the Spark booster packs, 1 premium foil rare or mythic rare, and 1 spindown life counter. 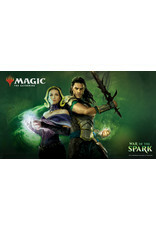 Prizes will take the form of War of the Spark booster packs, based on each players win/loss record. **PLEASE PROVIDE YOUR DCI NUMBER IN THE FIELD ABOVE** Don't have one? Head to https://accounts.wizards.com to create, activate or recover yours.